WHOLE DUPLEX! Investor's or Sharp Buyer's alert! This side by side duplex is one of a kind! It has new laminate floors, kitchens, paint, deck and much more that should not be missed. 3 bedrooms and two bathrooms for each side and some spacein both basements for your ideas. Each side has its own laundry, electricity meters and address. Comes with some river and mountain views, front patio and a larger rear deck. Skytrain two blocks away in an area that will be booming with the Brewery District that is breaking ground right now! 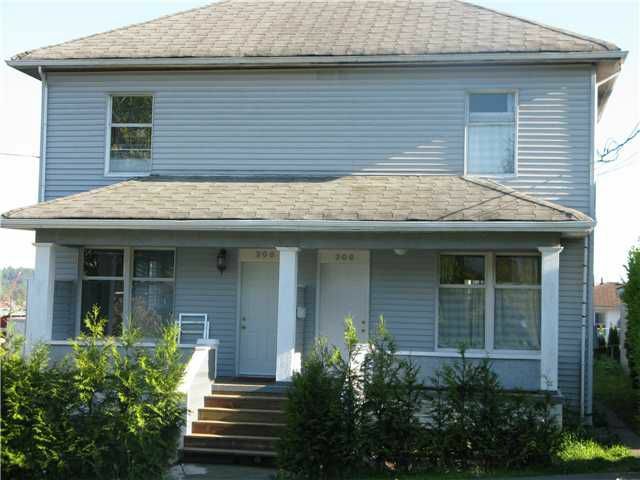 306 and 308 Alberta is an opportunity that will make you smile in the future!